A few days after meeting a White House delegation to discuss avenues for restarting peace talks with the Palestinians, Israeli premier Benjamin declared Monday that he would never evacuate Israeli settlements in the West Bank, which he called Samaria. “We are here to stay forever. 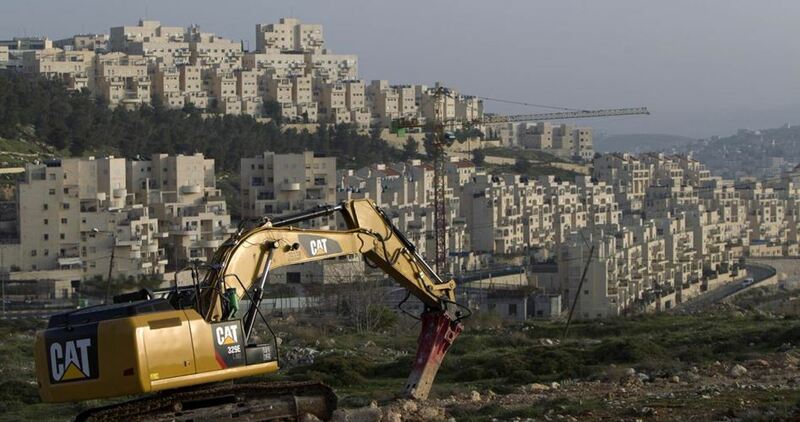 There will be no more uprooting of settlements in the land of Israel. This is the inheritance of our ancestors. This is our land,” Netanyahu said, addressing a large crowd of Jewish settlers at an event held in the illegal settlement of Barkan to celebrate 50 years of Israeli settlement construction in the West Bank. "There will be no more uprooting of settlements in the land of Israel. It has been proven that it does not help peace," he said. "We have uprooted settlements. What did we get? We received missiles. It will not happen anymore,” he confirmed further. Netanyahu was referring to Israel’s 2005 withdrawal from the Gaza Strip and the dismantling of settlements there after its troops faced persistent fierce resistance from the Palestinians. The next year, the popular Hamas Movement won the Palestinian legislative elections, but its rival Fatah, Israel and other foreign powers did not accept that. "So we will not fold. We are guarding Samaria against those who want to uproot us. 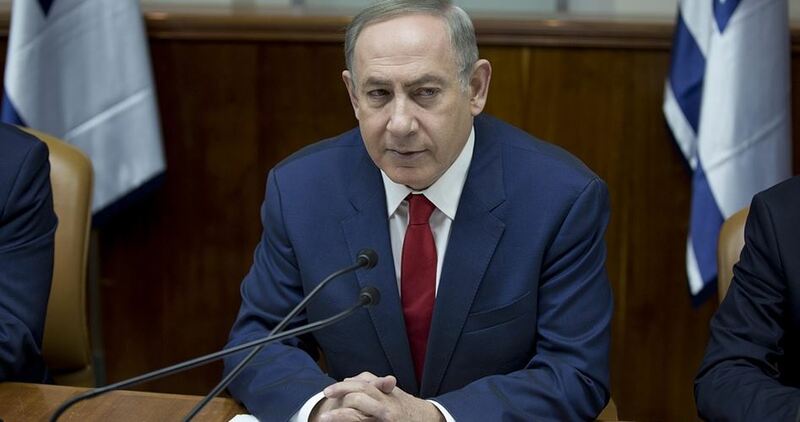 We will deepen our roots, build, strengthen and settle," Netanyahu told the attendees. Jewish settlements in the West Bank, which are considered illegal by the international community, have been at the crux of peace talks for long years. Successive US presidents have considered the settlements an obstacle to peace and have called for, at the least, a halt to their expansion, but current president Donald Trump seems to be less critical, in his press remarks, of Israel’s settlement construction than his predecessors. Some political analysts accuse Trump and his right-wing administration of supporting settlement construction in camera. Efforts have been under full swing by Israel’s Public Security Minister Gilad Erdan to construct new illegal settlement units in Occupied Jerusalem, Israeli sources reported on Monday. 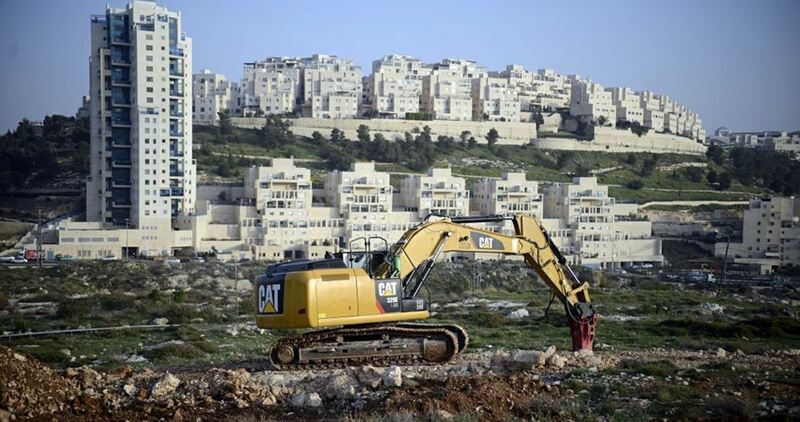 Hebrew-speaking Channel 1 said Erdan has been seeking “security ways” to put into effect a bid to construct hundreds of settlement units near Ras al-Amoud area. More security installations are expected to be installed around the main access roads to the projected settlement complex so as to prop up security measures in the area. On Sunday, Erdan, along with a number of Israeli police officers toured the vicinities of the project. The project contravenes a resolution adopted by the UN Security Council on December 23, 2016, declaring Israeli settlements in the West Bank and Jerusalem illegitimate. In the next decade, some 400 Jewish families will live in the Occupied Jerusalem neighborhood of Sheikh Jarrah, said Arieh King, the director of the Israel Land Fund NGO. “For now, there are five Jewish homes in Sheikh Jarrah, located north of the Old City,” he said. King added that his aim is to connect Mount Scopus to Route 1 and Mea She’arim neighborhood. He rejected reports that the phenomenon of Jews settling in Occupied Jerusalem is drawing domestic and international attention. “If it was 15 years ago you would have seen headlines everywhere, but now, no one cares,” claimed King. “The Arabs are apathetic about this. It is hard for them, but they accept the fact that we are returning." Despite protests, the Israeli government will displace the Bedouin population of Umm al-Hiran to a temporary area until a new neighborhood is built for them nearby. However, residents won’t be welcome to return to the new Jewish-only city of Hiran. SHARMINI PERIES: It’s The Real News Network, I’m Sharmini Peries coming to you from Baltimore. 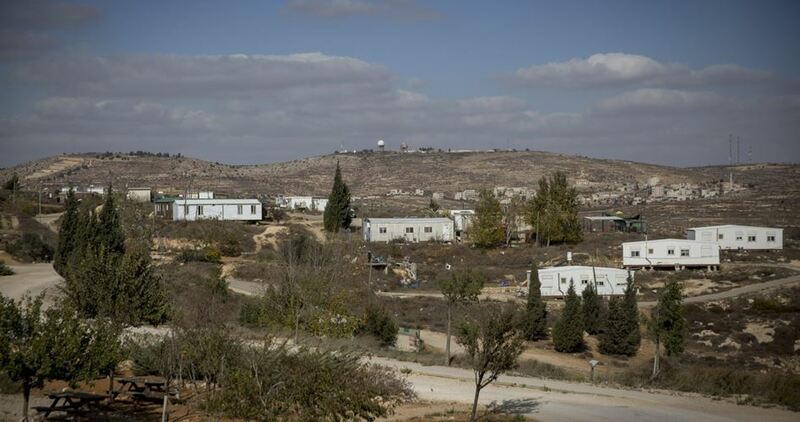 The government of Israel recently announced that the evacuated population of the Bedouin town of Umm al-Hiran will be displaced to a temporary area. They will be forced to remain there for some 15 years while a new living area is found for them. 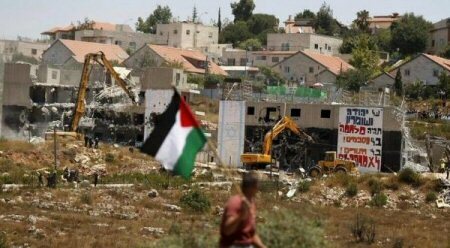 Meanwhile, the town of Umm al-Hiran becomes the construction site for a new settlement town. The first article in the charter of this new town specifies that only observant Jews may apply to buy or rent an apartment there. In January, as protestors tried to prevent the demolition of Umm al-Hiran, Israeli police opened fire and killed a local school teacher, Yaqoub Abu al-Qiyan, who was attempting to peacefully leave the area. We interviewed, here at The Real News Network, one of the demonstrators, Kobi Snitz, let’s have a listen. KOBI SNITZ: This is not the first time that entire villages are demolished in the Negev long standing government policy. The fact that the state is demolishing a Bedouin village to build on top of it a settlement for Jews tells us everything we need to know about Israeli policy and the context for this and very much about Israeli politics in general. And it played out as you would expect from the security forces that does this. SHARMINI PERIES: Now joining us to talk about all of this is Haia Noach, she’s the Executive Director of NCF, the Negev Coexistence Forum. Thank you so much for joining us today, Haia. SHARMINI PERIES: So, Haia, let’s start off by just explaining to people how is it that legally that this is possible that the Israeli government could just evacuate a Bedouin population and build a Jewish-only town on top of it. Is that even allowed? This is like the apartheid. HAIA NOACH: Well, legally, they’re covered. The thing is morally if they’re covered. It seems that the question is not a legal question, but a moral question since these people are living there in the village of Umm al-Hiran for 56 years, without any basic services, without electricity, without running water and so forth. And now, when the state decided to establish a new village there, a new town, they actually designated it for Jews mainly. Now, the option was there to plan part of this new village of Hiran as a neighborhood for the Bedouin people that are living there for so many years, but the state preferred, meanwhile, to leave it this way. And to plan temporary housing for the Bedouin in the new town or township of Hurah which is located about 8 km south of Umm al-Hiran. SHARMINI PERIES: So tell us a little bit about your own organization, the Negev Coexistence Forum. Have the joint efforts on part of Jewish community and the Bedouins living there been able to be effective? HAIA NOACH: Well, NCF is a Jewish-Arab organization and we are working here in the last 20 years trying to build a shared community of Jews and Arabs and to spread around the civil equality. It’s going very difficult, especially in the last couple of years since all sociology of Israel is changing and such operation are really difficult but still, we’re doing it. We have volunteers that are coming with us to this adventure and students and so forth. And we are working with the Jewish community but also with the communities abroad by raising awareness to what is going on in the Negev, since 34% population of the Negev are Arab-Bedouins. So it’s time to do some justice to this community and this is what we’re trying to do, to bring the state to recognize these villages, which are about 35 villages, that are unrecognized by the state. And so the state sees them as illegal. And they have no basic services, very small part of the villages do have education systems and clinics, about four clinics, but generally speaking, those villages are living without basic amenities and with a lot of infringements of human rights, house demolitions and so forth.We’re trying, actually, to raise the awareness that those are citizens of Israel and we should really treat them otherwise. SHARMINI PERIES: Right, now, there’s been a critique. Some people say that the word “coexistence” actually means to repress Bedouins and Palestinians, to pressure them into accepting the conditions imposed by the Israeli government. Is this correct and what’s your response to that? HAIA NOACH: Well, the name was picked up 20 years ago so it’s an old name. I would challenge those people that are criticizing just to come down and see the work that we’re doing and judge us according to the work that we are doing. And not according to the name that was picked up 20 years ago. We are really working hand-in-hand with a really unempowered communities or weakened communities, we are working with Al-Araqeeb, the village that was demolished again and again and again more than 100 times. And we’re working now with Umm al-Hiran and we used to another village that was demolished and now it’s turned into a forest. So if you want to judge us, you have to judge us according to what we’re doing, according to the [protest] that we’re doing, according to the … I was arrested twice. I am devoting much of my time and efforts to try and make a change here, I wouldn’t judge us according to the name. SHARMINI PERIES: I suppose those who critique you, who are trying to assist in the situation, is really responding to the brutality of the Israeli police in Umm al-Hiran, the killing of Yaqoub Abu al-Qiyan who worked with the Bedouins, who was a teacher … I guess, it’s a difficult situation. But you were saying people should come and see what you’re doing, we’re not actually able to do that so can you describe to us the kind of work you’re doing? HAIA NOACH: Well, we have more than 1,000 people coming every year with the very critical tours that we’re giving, also to diplomats and to activists that are coming from abroad but also to students and youth from Israel, which is quite a large amount of people. We are writing a very critical report about what is happening here, either about demolition or we have a monitoring report, every year, we are issuing the report. By the way, in 2016, more than 150,000 structures were demolished. It’s a huge number, it’s a huge number. Thousands of people are losing their houses each year and this is something that we’re focused on but also some other reports, we have a very good website, which probably is the only place you can see the villages. If you’re going into the website, you can read about the village and you actually can have the feeling of what is happening on the ground. We have many projects, in the unrecognized villages, of documentation, like, we are giving still cameras to women in the villages and they’re documenting their own life. And these pictures, we are using for lobbying.In a way, the women are coming also to be part of this conflict between the state and the Bedouin, which mostly is done by men. And this way, women are participating. Also children, which we have projects with them, in the different villages. We give them cameras and they’re documenting their lives. We have, also, a video project where women and men are documenting lives to video, they’re documenting house demolitions, police aggression, we can say, in the villages and many other things that are documenting. And in this way, we are able to bring the people to the front, so they’re lobbying for their lives there. And we have a cultural center in Besheeba, a Jewish-Arab cultural center, which is working in the last 10 years. We really have many, many projects that we’re doing on the ground. SHARMINI PERIES: Haia, can you also tell us something about the recent court decision regarding another Bedouin community in Negev, the Al-Araqeeb, I think, village, which was demolished over 100 times forcing the residents to pay for the cost of demolishing their own village. Just tell us a little about that. What’s the status of it now? HAIA NOACH: Well, they charged with 1.8 million shekels, which would be more than $400,000 – $450,000 for the eight demolitions. The first eight demolitions that occurred between end of July 2010 and end of December 2010. The police calculated how much it cost to operate all this operation and they came out with the figure 1.8 million shekels. And they charged in 2011, the residents, 34 people from the village with this huge sum of money. And during the hearings, part of the people compromised and got some funds and paid something and now, the judge decided to charge 250,000 shekels from all the six residents that are now on this petition, and to fine them with expenses of 100,000 shekels. It was last week and the people from Al-Araqeeb were quite exhausted because they have many, many legal procedures from all directions. And they’re paying to lawyers, and to need expert opinion in their land trial, which hardly started.So it’s a heavy fine, it’s a very weird petition from the state because the police do have a budget. We are paying part of our taxes for the police to be able to enforce the law, of course. And so, it’s very weird that they’re charging people now with the expenses of the eight demolitions. But we know that in the last couple of years, it’s a precedent that trying to build in a way. So in every demolition now, even before demolition, the police is coming and threatening people with fines. And they’re saying, “if you do not demolish, we will demolish but it will cost you more money.” So it’s a really problematic issue because today more than 60% of the people are demolishing the houses by themselves. SHARMINI PERIES: All right, Haia, thank you so much for joining us today and giving us this little snippet into the lives of the Bedouins there and the struggles underway. And I thank you so much for joining us today. HAIA NOACH: You’re welcome. Thank you. 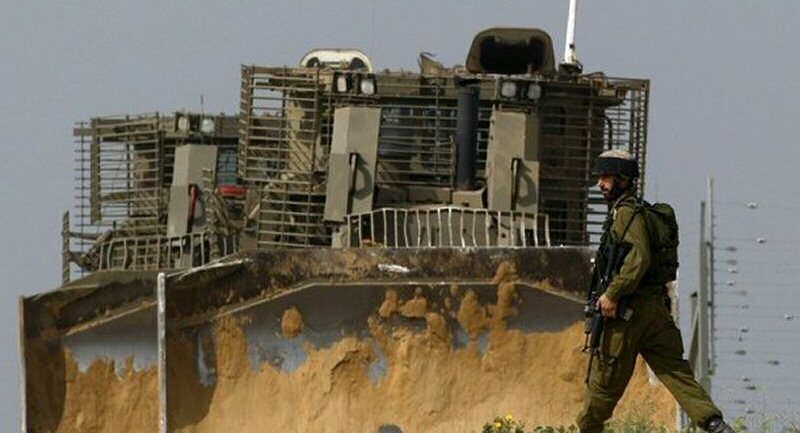 The plans were also discussed with the former Israeli Defense Minister Moshe Ya’alon, who said he would help in evacuating the lands to enable the construction of 500 to 1000 units, in addition to building two new colonies. One of the colonies would be built on lands that were reportedly “under Jewish control before the war in 1948, and were taken over by the Jordanian army,” while the other colony would be built in Gush Etzion bloc, which means a massive expansion, should the plans be officially approved by the Israeli government. Israel’s colonies in the occupied West Bank, including in and around occupied East Jerusalem, are illegal under International Law and the Fourth Geneva Convention, to which Israel is a signatory and a constant violator. Meanwhile, Israel continues strictly limit the Palestinians from living, building and developing their own lands in Area C of the occupied West Bank (%60 of the West Bank),— B’Tselem: Even after the Oslo Accords, Israel retained full building and planning authority in Area C, which encompasses some 60% of the West Bank. Israel strictly limits Palestinian settlement, construction and development in this area, while ignoring the needs of the Palestinian population. 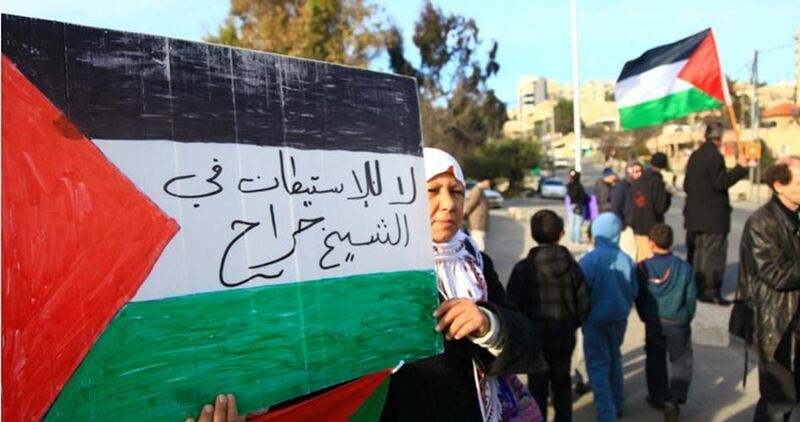 This policy means Palestinian residents must subsist in very rudimentary living conditions. They are denied any legal venue to build homes or develop their communities, so they face the constant fear that their homes might be demolished, and that they be expelled and lose their livelihood. The Civil Administration prohibits Palestinian construction in vast areas of Area C, citing various rationales, such as defining these areas as state land, survey land, firing zones, nature reserves and natural parks, or by incorporating lands into the jurisdiction of settlements and regional councils. In addition, the authorities prevent Palestinians from building even on lands that are enclosed between the Green Line and the Separation Barrier. After deducting for overlap among the various areas described above, Palestinians are prohibited from building on some 70% of Area C.
In the remaining 30% of Area C land on which constructions is not a priori prohibited, any construction must be pre-approved by the Civil Administration, be it for private homes, agricultural structures or infrastructure facilities. The Civil Administration, however, imposes severe restrictions on such building. To date, the Civil Administration has avoided approving any master plan at all for over 90% of the villages located entirely within Area C, and has approved master plans for only 16 villages. These plans, prepared without participation by local residents, fail to meet their needs. The boundaries set forth in these plans were determined according to the built-up areas of each village at the time of planning, thereby preventing expansion to meet population growth. The limited building area these master plans designated excluded land around the villages available for development, and sometimes, even excluded existing structures on the villages’ outskirts. The plans do not designate areas for public purposes such as schools or medical clinics and impose a high population density. The total area covered by these plans is currently only about one half of one percent of Area C. Read More (B’Tselem) Planning and construction policy for Palestinians in Area C.
A spokesman for the Prime Minister’s Office denied this report, but other sources familiar with the matter have confirmed it. Until now some 160 million shekels were earmarked for Amona’s evacuation and building Amichai. The sum consists of about 60 million shekels for infrastructure and public structures and 40 million shekels to compensate the evacuated Amona settlers. 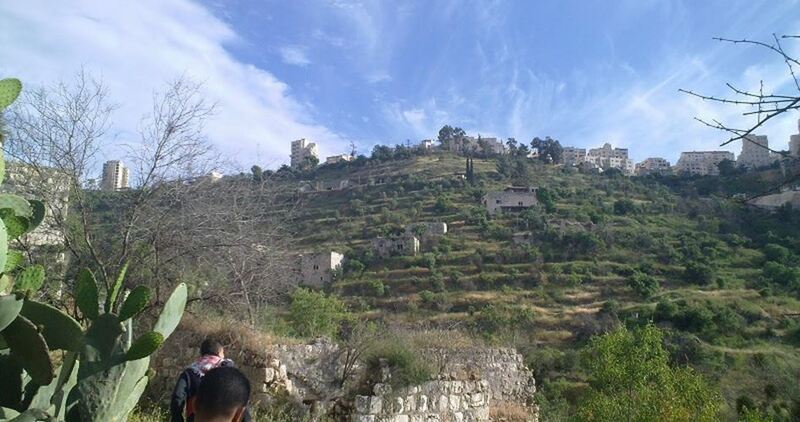 Iroshalim weekly newspaper reported on Friday that the so-called Jerusalem District Planning and Building Committee has approved a new construction project on the main street adjacent to Beit Safafa town to the south of Occupied Jerusalem. The plan includes building dozens of housing units and two commercial buildings in Sderot Dov Yosef at the beginning of the road leading up to Gilo settlement. This project falls in line with a settlement scheme aimed at intensifying the construction activity along the future tracks of the Jerusalem light rail. Recently, the construction of several residential towers in Pisgat Ze'ev settlement was approved as part of a plan to extend the light rail into the settlement. Other large-scale construction projects have been approved in Givat Shaul settlement since the light rail is planned to be extended down Kanfei Nesharim, the main neighborhood there. 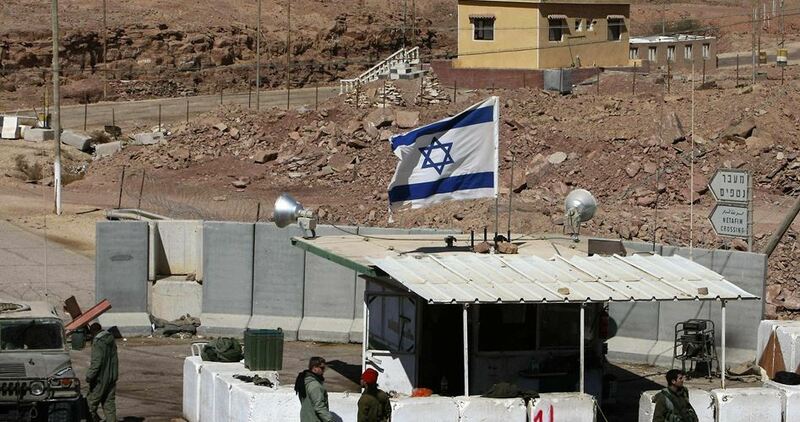 The Israeli Ministry of Construction and Housing announced on Thursday morning its intent to build a new settlement outpost on Palestinian land in the northern Jordan Valley. The plan includes the construction of 100 settlement units in Yarosh settlement outpost, where dozens of Israeli fanatics have set up roots. The bid will be passed on to the Israeli government for final approval. The Israeli radio quoted the minister of construction as stating that Yarosh is an important strategic site for Israel. On December 23, 2016, the UN Security Council passed a resolution declaring Israeli settlements illegitimate and a threat to the two-state solution. The northern Jordan Valley and Dead Sea make up around 30% of the overall West Bank area. 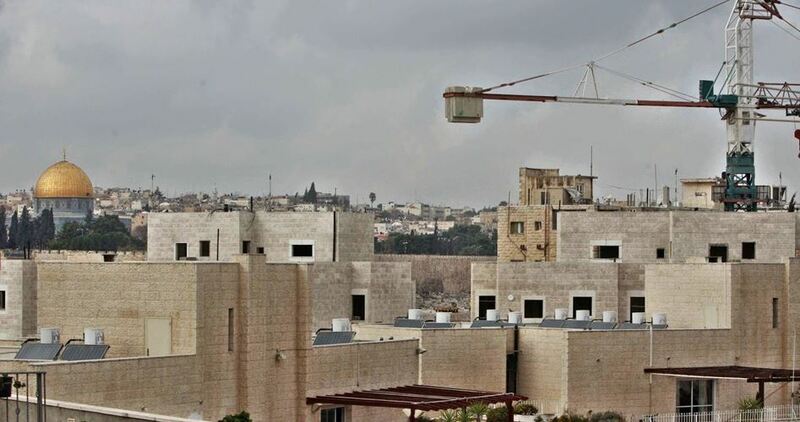 The Hebrew weekly Kol Ha’ir said that two of four new apartment buildings in the illegal settlement of Neve Ya'akov, northeast of Occupied Jerusalem, have become ready to house settlers. According to the newspaper, the four nine-story buildings consist of 78 housing units and only two of them were recently prepared to accommodate settler families. 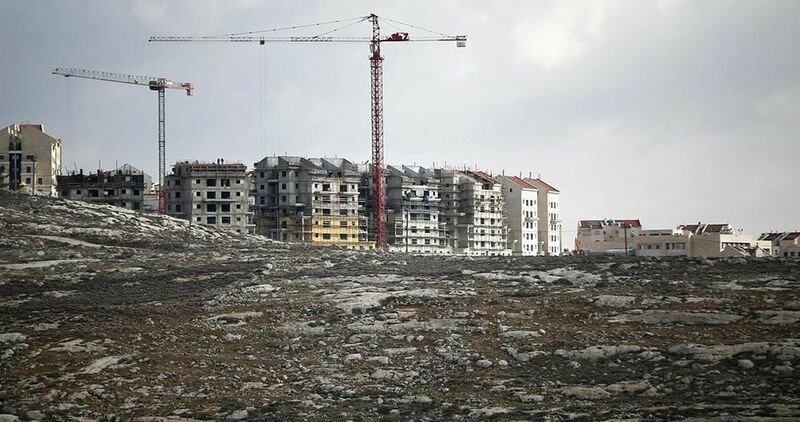 Euro-Israel construction company, which has carried out the project, is also working on finishing the building of housing units in other illegal settlements in east Jerusalem, 146 of them in Pisgat Ze’ev settlement and 250 in Har Homa, Ariel and Modi’in. The same company has already been hired to carry out similar housing projects around Tel Aviv in the cities of Petah Tikva, Ashkelon and Rishon Lezion. Israeli settlement activities have almost tripled in the first half of 2017 compared to last year as Israeli Prime Minister Benjamin Netanyahu continues to support new construction in the occupied Palestinian territories, the Palestinian national office for the defense of land and resistance of settlement said in its weekly report issued on Saturday. 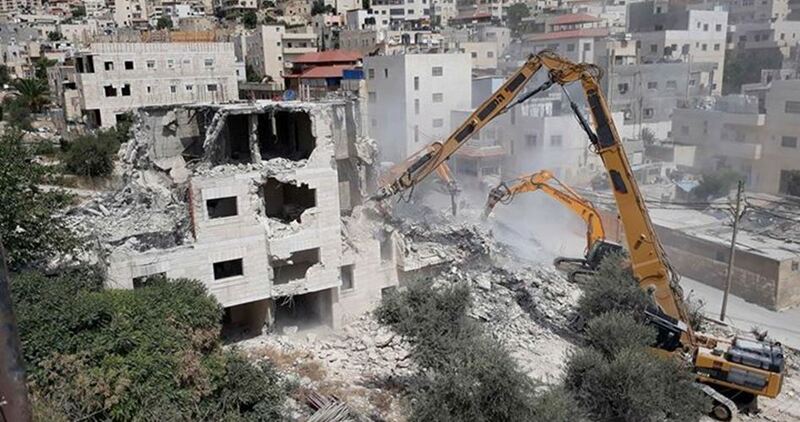 The report of the national office which is affiliated with Fatah Movement pointed to the Israeli recent escalation of settlement activities in the West Bank and Occupied Jerusalem in full disregard to the international and Arab condemnation. The report referred to the most recent settlement activity where the Israeli premier laid the corner stone of a new settlement neighborhood. 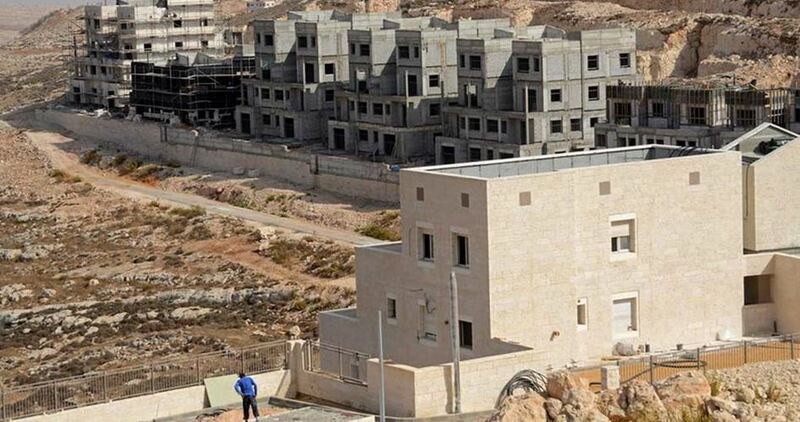 The new settlement compound includes over 1,000 housing units in the illegal Beitar Illit outpost established to the south of the West Bank city of Bethlehem. Netanyahu has called for resuming the construction of a new settlement allocated for the settlers who were randomly evicted from Amona settlement, the report pointed out.